You may have visited this site for help getting out of debt.Â Perhaps you are not in debt, but do not know how to manage money, and are looking for tips on how to improve your overall financial picture. Whatever the case, your credit score plays a huge part in your financial life.Â Your score determines what kind of credit “risk” you pose to potential lenders and card issuers, thus affecting what you pay in interest to said creditors. 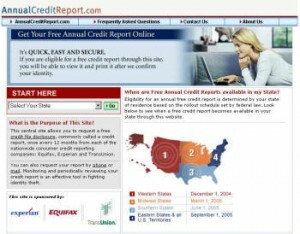 Although your credit score is not available in any of your reports themselves, you will be able to review your credit history (if you have any) and easily find any discrepancies that may lie within.Â There is a free way to get the score (see step 2).Â Make sure that on the reports, that ALL of the information provided is correct.Â If there are any differences in your records or memories than what is on the report, contact the reporting agency.Â More importantly, contact the agency if your report contains anything false (or fraudulent).Â Each of the three major reporting agencies keep records similarly, but may have inconsistent information, so careful review of these reports is important. Contacting credit reporting agencies is not an easy task, but the phone calls and letters that will fix report can be priceless. 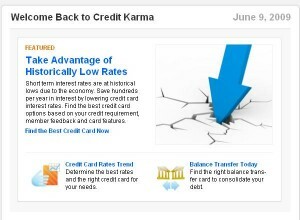 CreditKarma.com is a free site that helps you track your credit score, completely FREE!Â Signing up is easy, and it is NOT A SCAM.Â Based upon your credit score, they match you with offers that people with similar credit scores have been granted.Â Credit cards, stock trading sites, banks and cell phone companies are just a few of the advertisers here that help provide you with a free credit score.Â I have been a customer here for eight months now, and could not be happier with the results.Â They do not send unsolicited emails and their offers are usually for products we can all use and may benefit us financially. There are other methods of getting a free credit score, but none I have found are as easy and effective as Credit Karma.Â I can not recommend them highly enough. 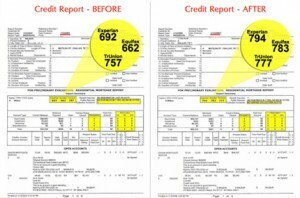 Now that you have your reports and score, you are armed to build credit.Â Whether your score is 400 or 800 (400 is very bad, 800 is near absolute perfection), the simple act of knowing your credit profile gives you the upper hand when talking with potential lenders.Â Anything over 700 is considered “very good”, if below the magic 700 mark, aim for improving to that mark.Â The lower your score, the more work you have to do. Payment history is a large factor in determining credit risk.Â A history of on-time payments show credit worthiness to perspective lenders and creditors. Your debt to income ratio also plays a large part in credit scores.Â If you are using all of your available credit, it shows risk that many creditors are not willing to take. Unfortunately for younger people, youth is actually a ding against you.Â That’s right, the length of your credit history also affects you negatively.Â If you are looking to start from scratch with no credit history to speak of, see your bank or credit union about a Secured credit card to start your credit history.Â This requires a downpayment (usually around $100), but is the best way to start with no history to speak of.Â If your parents are willing to allow you to be a co-borrower on a card, consider this a viable option as well.Â As long as Mom and Dad are not credit disasters, this will build credit relatively quickly. If you have 10 credit cards, but no loans for vehicles or a home, it shows no assets.Â No assets are a bad thing.Â Creditors want customers who spend their money wisely, not those who max out cards on things of no value.Â Have a diverse credit history. When trying to build credit, do NOT go applying for every card or loan you can.Â Be selective and space your applications out.Â New credit applications can shine negatively on you.Â If a potential creditor sees a few inquiries from other companies in a short period of time, in their eyes, it shows desperation for credit.Â Desperation is never an appealing attribute in a potential customer. The process of building credit will not be done overnight.Â Time, patience and discipline will yield a great score and save you thousands in interest from future creditors.Â Happy Building!! Good post! The length of your credit history is an important factor. So if you are starting to build a credit score from scratch it may take some patience. You can cheat and improve your history if you have a family member with great seasoned tradelines. Just ask them to add you as an authorized user. FICO08 will invalidate the trade if you’re not related or show an address in common. That’s what we’re thinking, anyway. They don’t really share that info at FICO.